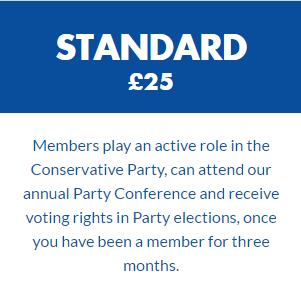 Becoming a member of South Dorset Conservatives is a great way to invest in the future of our country. You'll find out more about the big issues affecting your community and join the conversations that lead to finding the solutions that help you and your neighbours. 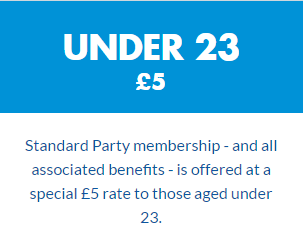 Unlike other political parties, we don't receive any money centrally. We rely entirely on local fundraising and membership to finance our activities. 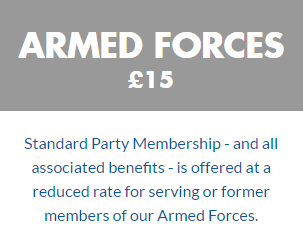 We have four levels of membership to suit all levels of interest. We urge you to join us and make a difference. Friends - if you're keen to be involved but don't want to be a full member - £5 minimum donation. Download and complete our membership form below and return it to our office. For more information on membership, please feel free to contact us.